Semi-trucks are a regular fixture on the roadways of North Dakota as they travel to and from oil field locations, such as the Bakken Oil Fields across Highway 23 and Highway 2. The heavy volume of this highway poses a potential risk for truck drivers and other motorists. Because of their size and weight, these trucks have the potential to cause massive damage and catastrophic injury in the event of an accident. If you or one of your family members suffered an injury in a semi-truck accident, seek experienced legal help immediately. 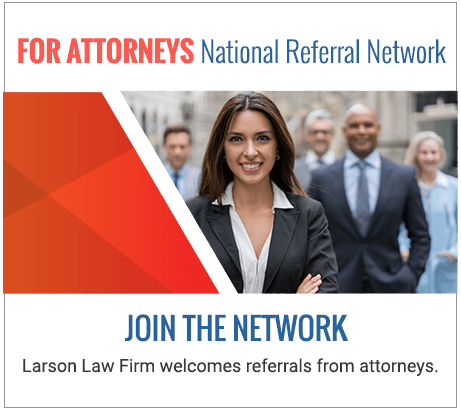 For nearly 40 years, Larson Law Firm P.C. has represented truck accident victims and their families. Our experienced North Dakota truck accident lawyers have the skills and tenacity to prove fault, even when a cause is initially unclear. Our legal team is committed to obtaining a fair recovery for motorcycle accident victims and their families. When you secure the services of Larson Law Firm, you receive comprehensive legal services from a knowledgeable and experienced legal team. We understand that insurance companies are regularly inundated with personal injury claims. We seek to overcome this challenge with detailed investigations, focused on proving fault through as many facts as possible. Driver fatigue. Truck drivers are supposed to abide by strict regulations pertaining to the number of hours they operate their vehicles and periods of rest. When they violate these rules, truck drivers place themselves and everyone on the roadway in danger. Roadway impediments. Poorly marked road signs or construction detours can cause serious trucking accidents. Under these circumstances, a government entity may be responsible for resulting injuries. Mechanical errors. Trucks weigh thousands of pounds, and it is vitally important that they be maintained in an appropriate manner. Brake and tire defects, as well as poor truck maintenance, can cause the truck to malfunction and cause an accident. Negligent driving. Truck driver negligence is a leading cause of truck accidents. New truck drivers may be inadequately trained to properly handle these large vehicles. Drivers may also exceed posted speed limits or follow too closely behind other vehicles. Driving under the influence is also a growing problem within the trucking industry. Improper supervision. All truck drivers should have their vehicles and their loads inspected before they hit the road. If a truck is overloaded, or if the cargo is improperly loaded, the truck can tip and materials can fall out. If a truck leaves a depot without being inspected for defects in tires, emissions, brakes, etc., everyone is at risk. When determining fault, our knowledgeable North Dakota truck accident lawyers often consult accident scene re-constructionists to evaluate property damage and gauge how the accident occurred. We also meet with eyewitnesses to help substantiate the evidence and prove fault. The at-fault party may be the truck driver or the trucking company, or some combination of both. 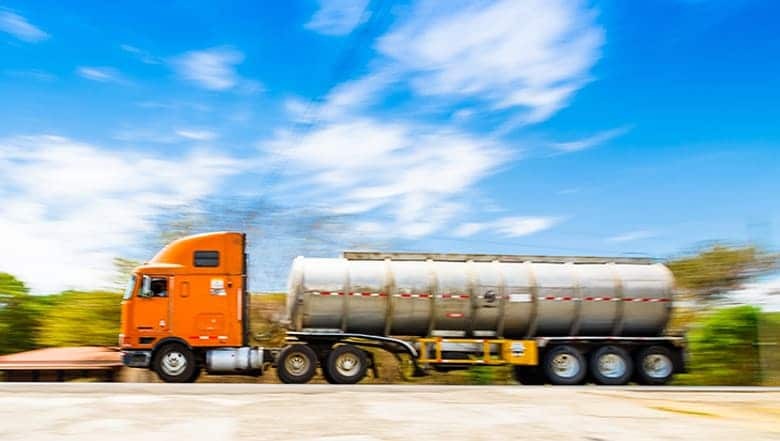 Truck accident cases can be very complicated, which is why it is so important to be represented by an attorney with the skill and experience to get the results you need. Attorney Mark Larson is a civil trial specialist certified by the National Board of Trial Advocacy with more than 30 years of experience in personal injury, and is well prepared to obtain a maximum recovery for truck accident victims and their families. If you were injured by a utility truck, a flatbed, a big-rig, or any other commercial vehicle, we want to help you obtain the compensation you need to move forward. The lawyers of Larson Law Firm P.C. have years of knowledge and experience in the courts of North Dakota. If you need legal assistance with a trucking accident injury, trust a firm with a proven track record of success. Contact us to schedule a free initial consultation by filling out our contact form or calling us toll free at 701-484-HURT. From our office in Minot, we provide honest representation for clients throughout Ward, Williams, McKenzie, Pierce and Mountrail Counties. Do Electronic Logging Devices Increase Traffic Safety for Commercial Trucks?